Selecting the right ATM/credit cards for a round-the-world trip was a bit of a challenge. We did a lot of research and got some good advice from friends. We’re pretty happy with our setup and wanted to share it with folks doing their own research. The big challenge with traveling with ATM and credit cards is getting destroyed by unfair currency conversions, fees for currency conversion and ATM fees while traveling. I believe their are ATM cards out there that can hit you with all three of these — ouch!. 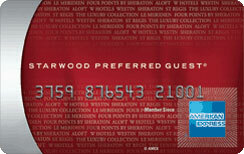 There are a few cards out there that have the same key features, but we’ve been really happy with the Platinum Card. 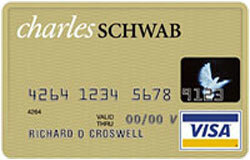 Most importantly, Charles Schwab rebates all ATM fees. In Thailand, it’s not unusual to see a $5 fee (and in Cambodia we saw $7), so if you’re traveling on a budget long-term they add up. Schwab gives you their daily market rate for the currency conversion and there aren’t any extra fees. Nice. We each have cards with different account numbers. That matters because if my card is ever lost or stolen, Sasha’s card will still work. On top of that, they have online bill pay, a great mobile app and excellent customer service. The Capitol One Visa Cash Rewards card is one of the only credit cards in the states that doesn’t charge a currency conversion fee. They give you their daily rate and that’s it. There aren’t a whole lot of other perks to the card, but that’s the one that matters. This really helps for big purchases or transactions over the net e.g. plane tickets. This was our pre-trip card credit card. They charge you every time you make a foreign currency transaction. When Sasha and I got engaged, one of the best pieces of advice we got was to put all of our purchases on the card to accumulate points. We put all our expenses: wedding, life and trip related on the card. The bonuses for signing up and spending $15k on the card are substantial, which made this card really worthwhile for us. I did a lot of research on rewards programs and I think this is the best one, though the Hilton American Express card is a close second. Check out the graphic below to see a great, albeit dated comparison of rewards Programs. Why go to all the trouble? Between our spending, bonuses and a big chunk of AmEx Gold points we converted, if we choose hotels wisely, we’ll have about 40 free nights in some very nice hotels. We’re so happy with the card that it will be our after-trip card as well.